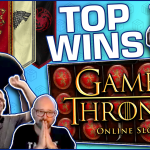 Another week, another Tuesday and another casino streamers biggest wins compilation video. This time we have an overwhelming number of new slot games featured. Moreover all the hits come from the 18th until the 23rd of September 2018. Therefore, sit back and enjoy the show! For more compilations like this one, check out our Big Wins page. You want to try any of the slot machines featured in this week's clips? Check out the streamers top rated casinos and bonuses list. 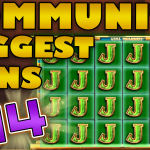 We start today’s Casino Streamers Biggest Wins Compilation with Shirox and his mega hit on Jammin Jars. 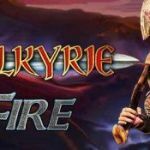 This new slot machine from Push Gaming has gotten a positive reaction from almost the entire community. - And for good reason, as the potential this casino game has is amazing. In our case, the streamer got two multiplier jars up to 9x for a €10k epic win. Next we have one of my favorite Bally Wolf slot machines, or Gamomat, as we like to call them. Specifically, it was the Fort Brave game which Spintwix was playing on €5 bets. In yet another base game hit, the slot streamer landed a bunch of premium symbols. Moreover, thanks to two wilds in the middle, the spin resulted in a full line of the best symbol. Overall a spectacular win, however I can’t help but think how much bigger the win would be if it was on the bonus round and the wilds had multipliers on them. Another gaming provider that is impressing us with new remarkable slots is Blueprint. One of their latest titles is Spinal Tap, which Smask was paying last week. The Dane was using the bonus buy feature on SEK 12 stakes, meaning that each bonus costs SEK 600. A good investment from his part as the game gave a great 480X the bet win. This is one of two Blueprint games that possess the bonus buy feature, with the other one being the new Genie Jackpots Mega Ways slot. A new slot which I highly recommend is Da Vinci's Treasure from Pragmatic Play. You can play this game, for real money, on Royal Panda casino. On first sight it looks like another run of the mill book game. However the game boosts multiple features and bonuses that make it unique. Especially the progressive free spins, which Miikapekka got, have tremendous potential. This is due to the multiplier increasing after every spin. Therefore a few re-triggers on this particular feature can make ever winning combination pay massively. 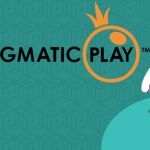 Push gaming strikes again, now with another of their slots, the popular Wild Swarm. Granted this game can be frustrating at times, especially when it comes to triggering the swarm feature. However the potential of that bonus can be insane. That is exactly what JG got and the result was an epic 536X total win. Finally, the clip below is kind of long but you want to focus on the last five minutes. 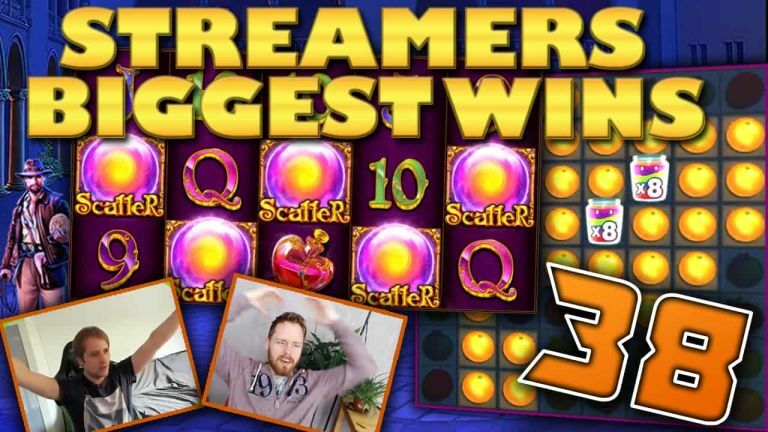 We start and end Casino Streamers Biggest Wins Compilation with the same slot. Jamming Jars gives a super mega big win, this time to Rex. This time on the bonus round, where the level of multipliers on the jars gets unreal. You need to see to believe this win so check it out on the clip below. Moreover, if you took part in Casinogrounds promo of the new Jamming Jars slot, make sure to check out the results tonight on the forum. Two more extra slot wins that we want to mention today, come from JimboCasino & David Labowsky. Unfortunately we do not have individual clips of their hits. However you will find their respective big wins, on Reactoonz and Madame Destiny, at our main compilation. I am especially fond of Jimbo’s win, due to the slot being similar to one of my favorite casino games. - Lucky Lady’s Charm. 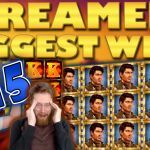 Tell us which win on Casino Streamers Biggest Wins – Week 38 of 2018 was your favorite. Share your thoughts in the comments. Also make sure to check our other videos on CasinoGround’s YouTube channel.